Stop making excuses. 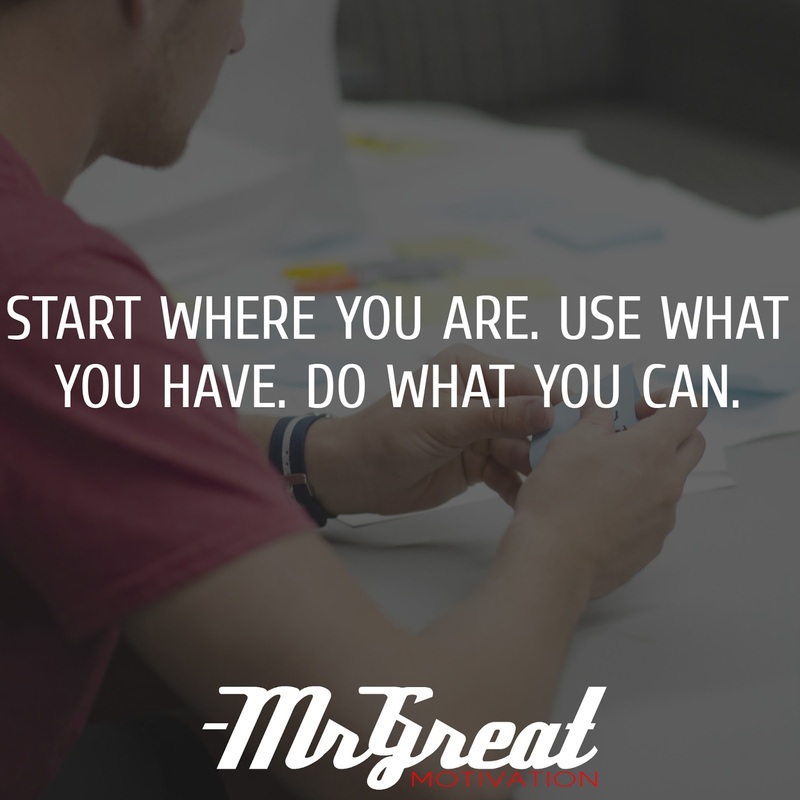 Start where you are, use what you have, do what you can. Take action towards your goals! It’s easy to think that this isn’t the right place, or the right time, or that you don’t have the right resources in order to become a success. You just have to get started right now from where you are now with what you have now and your resources will grow as you go along. So don’t waste another minute thinking you can’t get started on what you really want to do. Sometimes people caught up in the things they "need" to make their dreams happen that they lose sight of the dreams themselves. Surrounding yourself by latest and greatest gadgets doesn’t make any sense. We have to learn how to make things happen and how to improvise. If we need to unscrew something and don’t have a screwdriver, we can use a butter knife. I.e. not to give up task simply because we don’t have the tools. We need to learn finding alternatives always. While chasing the dream, it doesn't mean that there isn't a time to step back, take a break, and evaluate your work, it does mean you should do all that you can to make things happen for you. We need to evaluate the task we begin, where we are, use what we have and do what we can do to overcome circumstances and dream big.